Want to start growing herbs in your kitchen? Here are the top 5 best herbs to grow indoors year round. Herbs are the crown jewel to a gardener. Herbs are easily grown indoors or outdoors. The plants are easily moved. On sunny days, they can be placed in the sunshine. But a beautiful, warm kitchen window will do just fine on a cold, rainy or snowy day. 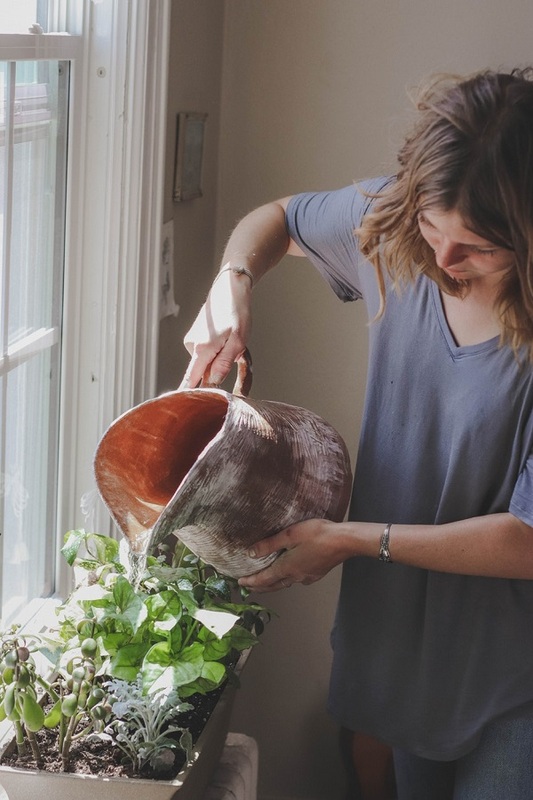 What Having an Indoor Herb Garden Does for You? Everyone knows that fresh herbs are an excellent addition to the food they prepare. Herbs bring out the natural flavor of the dish. While you can buy dried and crushed hers, they lose flavor in the process, and you have no way to know how old the herbs are. Herbs smell delicious. You can mix the herbs in a bowl and set them out to freshen the room naturally. You can chop them up and put the herb (or mixture of herbs) in a wax warmer with water to allow the scent. Also, you can simmer them in a small crock pot with water and let them simmer for hours. Herbs have been used for ages thanks to their healing properties. Essential oils are made from herbs. If the oil is easily inhaled resulting in healing, how much more will fresh herbs work? You can create a peaceful environment. Fresh peppermint, lemongrass, and cinnamon. Will relieve stress. Eucalyptus and lavender will help open and heal sinus pressure. Lavender in the bedroom will help you fall into a natural and deeper sleep. Of course, you will need pots with drain holes and potting soil. These can be traditional pots, or you can use coffee cans (metal or plastic) after nailing a few holes. If you use this method, put a nail hole on the upper left and right so you can add a rope for hanging. You can hang them in the sun on your fence, flower hanger, or even put them on a garden cart so they can be rolled inside and out quickly. The most important part of your herb garden is the seeds for planting. For seeds that are always fresh and guaranteed to grow try Seeds Needs. They are experts when it comes to seeds of all types. Decide on which herbs you want for cooking, and which you wish for scent and health. Lemon Balm smells wonderful. The herb has been used to calm the heart and relieve anxiety for a long time. The lemony flavor is right in teas and pastries. Lemon Balm elevates the mood and helps fight winter depression. Of course, you know peppermint is good for food and various hot and cold drinks. What you may not know is breathing the oils from the plant has healing properties. Peppermint has antiviral, antibacterial, anti-inflammatory, and antispasmodic properties. It is used for headaches, stomach aches, nausea, and as a topical rub for sore muscles. A steaming cup of peppermint tea will improve your focus and give you mental clarity. Chives are used in many holiday recipes. They are easily paired with citrus fruits. Chives are used in many sauces and as a garnish for salads, soups, and baked potatoes. Their health benefits include, eye health, slowing the growth of cataracts, and as a diuretic. Used in pesto-sauce, salads, and many pasta dishes; basil is a herb you must have. It is beneficial as an herb that reduces inflammation, stress, anxiety, and arthritis. Basil has been used for joint pain and sore muscles. This Mediterranean herb is used in recipes that are very spicy. Italian foods often feature this tummy calming herb. It is also sprinkled over melted butter and used to oven broil steak. Thyme is good for the skin. It cures diarrhea, nausea, and relieves joint pains. It is often used for arthritis. Would you like to create your potpourri or scent packs for your home or to give as gifts? To do this, you will need to dry the leaves. Tie them in bunches and hang them upside down until they are dry enough to crumble. You can buy mesh bags at any hobby store. Or you can use plastic bags. Experiment with your scent combos before you make a big batch of potpourri. Purchase some small mesh bags to make sachets for freshening closets or to place in drawers or storage containers. After you have mixed your herbs, you can add different items to make it more holiday themed. Consider adding cinnamon sticks, pine cones, cloves, even a bit of glitter. Tie your gift with a pretty ribbon and hang a name tag. Some common herbs to add, include peppermint and sweet orange. Use your imagination. Make a pot of your favorite pasta sauce. Use your basil, oregano, or other herbs to create a unique flavor. Put a scrap of fabric over the lid and secure with a rubber band and ribbon. Place it in a basket with a package of pasta. Add a wooden spoon and a small loaf of bread, maybe a bottle of wine, and you have a wonderful and inexpensive gift. Tip: make a note of the quantity of the herbs so you can repeat the recipe. Take your cooking to a new level. Use the wonders of nature to freshen the air, sharpen your memory, or to relax after a hard day. Use them as gifts. There are many ways to use your herbs, so get started today. Your herbs will be growing in no time.